Home/Business Economy/What Is the American Health Care Act? From the very moment President Barack Obama signed the Affordable Care Act into law on March 23, 2010, Republican members of the House of Representatives have made it their mission to repeal and replace it. However, it took them nearly seven years to develop a replacement plan, which first saw the light of day less than two months into the presidency of Donald Trump. They call it the American Health Care Act (AHCA), and while some Republicans are enthusiastic about it, others remain skeptical. While political leaders continue to debate the proposal, it is our duty as an informed citizenry to understand exactly what the legislation entails and how it may impact the country and the stock market going forward. 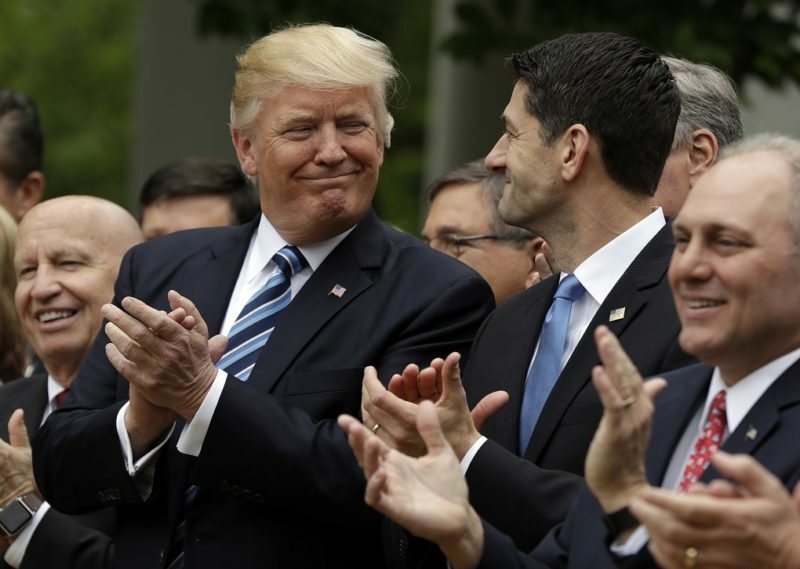 To provide some context, it may be helpful to examine a few of the reasons why House Republicans have been adamant in their opposition to the Affordable Care Act, better known as Obamacare. The most significant issues with the existing law pertain to the ever-increasing cost of premiums, as well as a notable reduction in the amount of choices made available to consumers. Tennessee offers us a prime example of the latter problem: Humana recently became the last company to withdraw from the state’s Obamacare exchange, which means that consumers who rely on Obamacare will have precisely zero options when they attempt to purchase coverage during open enrollment this November1. It is clear to Republicans and Democrats alike that Obamacare has some significant sustainability issues. Despite this mutual understanding between many leaders in both parties, the debate escalates as the discussion turns to how to solve the system’s problems. Is the AHCA the Solution? According to House Speaker Paul Ryan and his team, the AHCA provides for a stable transition from Obamacare to a new system that is “patient-centered”2. It also permits young adults to maintain coverage through their parents’ plan2. However, there is a great deal of controversy surrounding the AHCA’s aim to provide monthly tax credits to consumers to assist them with the purchase of coverage2. To many conservative Republicans, this plan represents yet another entitlement, which is something that they typically oppose under most circumstances. To the dismay of Democrats, the plan eliminates Obamacare’s controversial individual mandate, which requires Americans to obtain coverage or pay a fine at tax time. A few other pain points include the reality that the House passed the AHCA without a rating from the CBO, and a recent report indicates that the bill protects the coverage of only 5% of people with pre-existing conditions3. This unfortunate fact points to increasing premiums for people with such conditions, which include pregnancy and autism4. Although a revised version of the AHCA attempts to offset these costs, healthcare experts indicate that the costs are difficult to offset in the first place3. Many Republicans in Congress who voted against the bill cited this as their primary reason for their decision to vote against the legislation5. Although it is difficult to satisfy every key player involved, the lack of consensus surrounding the AHCA imperils the legislation’s very existence. In fact, four Republican senators have already voiced their opposition to the bill over concerns regarding its treatment of Obamacare’s Medicaid expansion, so it is unclear if the latest draft of the AHCA will make it to President Trump’s desk in the first place. Regardless of what happens to the AHCA, the events that have unfolded over the past several weeks demonstrate the challenges Republicans face going forward. The White House has indicated that it intends to quickly tackle healthcare reform, tax reform, regulatory reform, and the passage of a trillion-dollar infrastructure package. The stock market has reacted with great optimism in response to these plans. However, an inability to govern on the part of Republicans may become a short-term problem in the eyes of some investors.